Managing a Zoom meeting may sound complicated if you haven’t had experience with it yet. It all starts when you first open the Zoom application. 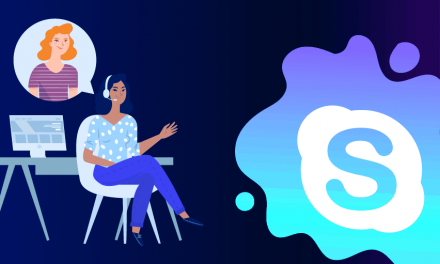 Rest assured, I’m here to show you everything you need to know about Zoom meetings. How Do I Start a Zoom Meeting? As you open the app, you will see the following options. 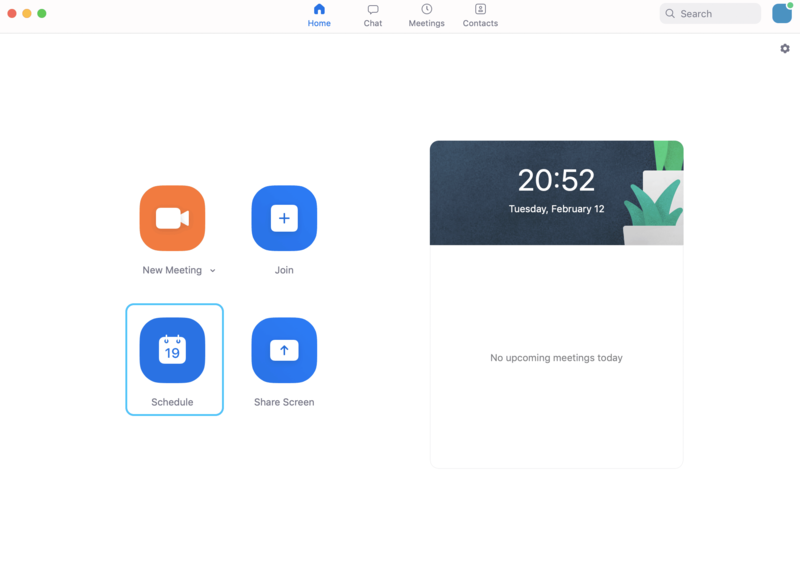 Choose New Meeting in the home screen if you want to make a call. Next, you will see the following window which has the Meeting ID number in the header and control panel in the footer. We’ll go over each one of them later. 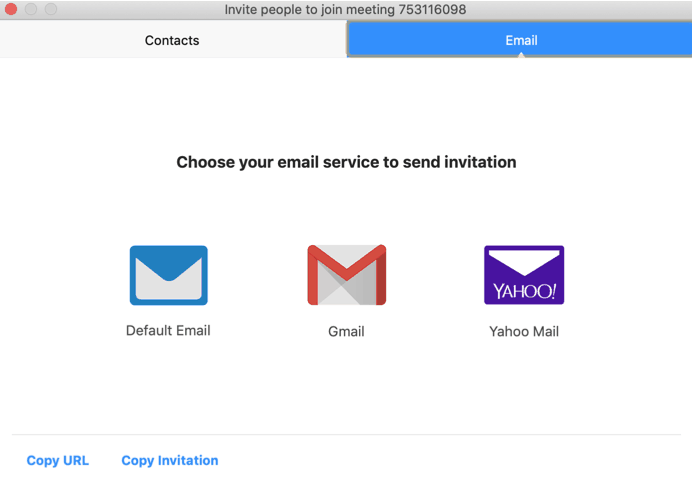 How to Add Users to the Meeting? 1.Send the Zoom Meeting ID number to people who need to participate to the call. 2.Click on the Invite button in the footer panel. Next, you will see a window with 2 sections. Choose the Contacts section if you have registered to Zoom with your work email. 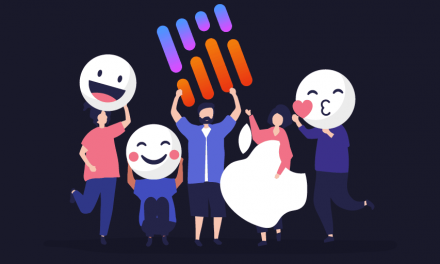 From there you can easily invite your coworkers who have registered as well since Zoom will offer to provide their contacts. 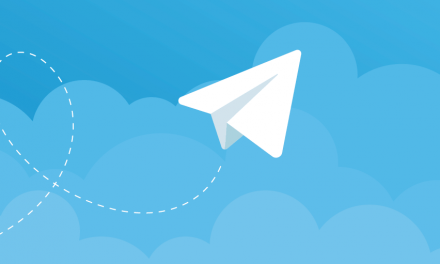 Otherwise, choose the Email section where you can select Copy URL or Copy Invitation buttons to send an official invitation via email. If you want to schedule your meetings beforehand go back to Home and select the Schedule button. 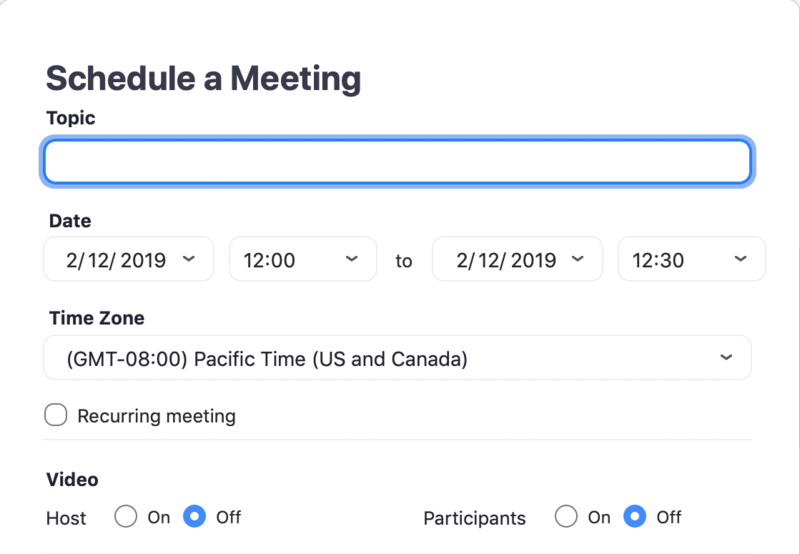 In the new window, you can give the meeting a name, configure its date and time, duration as well as the time zone of the meeting. You can also check the box if the meeting is going to be recurring. 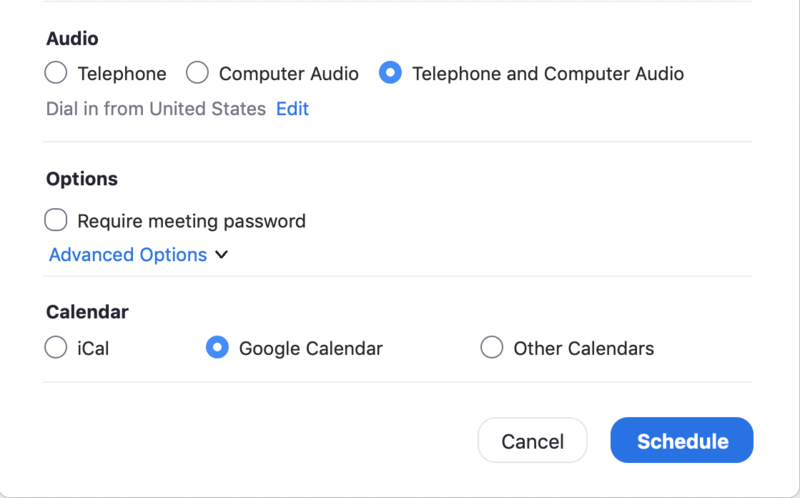 Other settings include the audio options for the meeting such as Telephone, Computer Audio or Telephone and Computer Audio. You can mute your side of the call anytime you want by simply clicking on the Mute button in the panel. You can especially use this if you have some background noise coming from your mic signal during the call. But to make it even easier, you can get Krisp, which will effortlessly suppress the noise not only from your side but also from all the other speaking participants. It’s in public preview and is ready for you to test it! You can also change the audio microphone and speaker settings by clicking on the arrows next to the Mute and Stop Video buttons. You can also opt out of showing your video to others by clicking the Stop Video button, or choose Start without video in Home screen when you open the app. 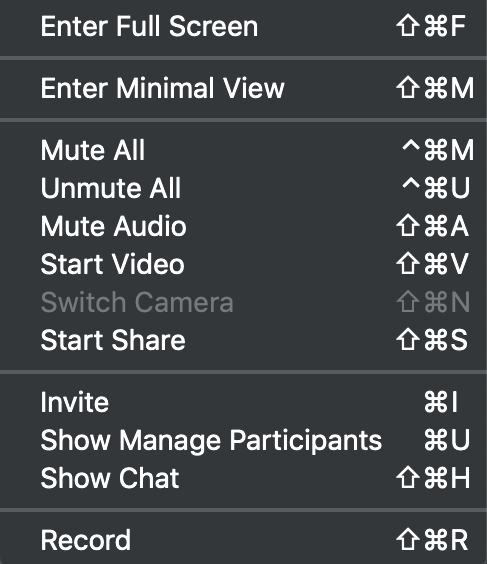 With this feature you can mute or unmute other participants as well as stop or start their video by request. Other options include stopping their screen sharing features, putting them on hold or locking the meeting to prevent others from joining. 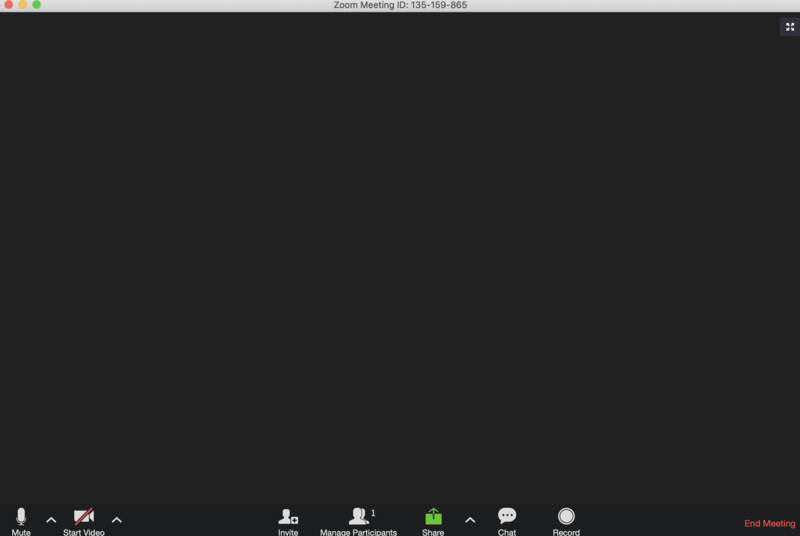 You can also rename participants, turn them into a call host or allow them to locally record the call. 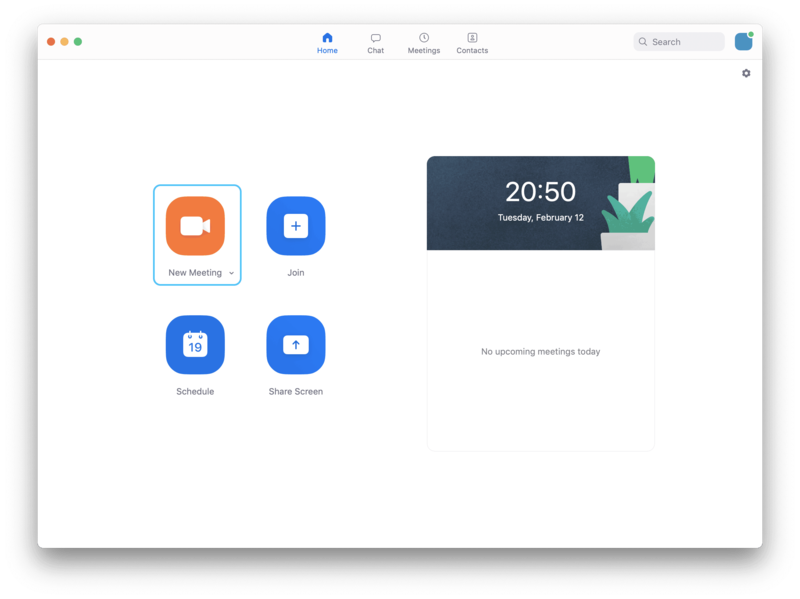 One of the best features of the Zoom meetings is the advanced way of sharing the screens. This feature allows you to select only one desktop or application. To enable computer sound put a tick in the checkbox in the bottom left corner of the window. You can also choose to optimize for full-size screen video clip. . You can even make your meetings more effective by adding a whiteboard. You can communicate with the call participants through the Chat. There is also a handy shortcut for shortcut geeks: Cmd + Shift + H command. Additionally, you can see all the users that are currently in the chat by pressing Cmd + U.
Lastly, you can record your meetings by pressing the button or using the hotkey. You can come back to your file after the meeting, and it will start to convert into mp3. After the conversion is done, you will see the recorded files in a new popup folder. Bonus tip: Here’s the full list of hotkeys if you like taking shortcuts. You can view them when you hover over the Meeting menu item as well. Here you go, now you can feel yourself as a Zoom Meeting guru and enjoy your meetings. If you have any questions let me know! Rafael is a staff writer for the Krisp Blog, and is passionate about all things related to writing, technology and analytics. When he’s not writing, chances are he’s exploring the world maps and geography, watching sport games, or testing out new apps.